SANSE! SANTERISMO! 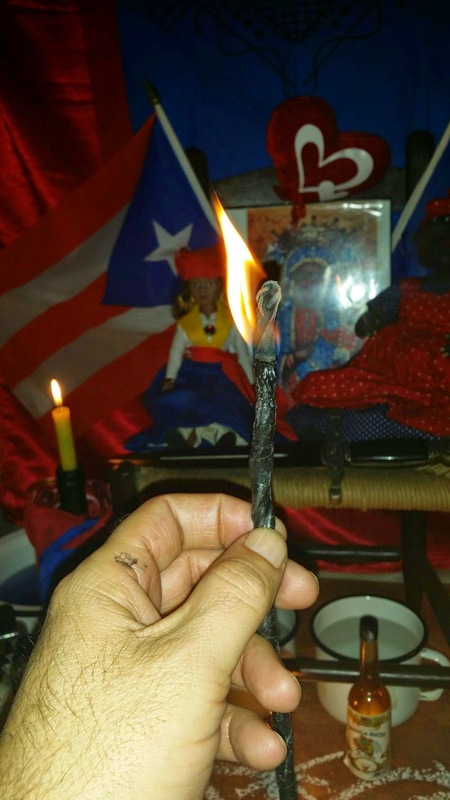 PUERTO RICAN BRUJERIA & ESPIRITISMO! My second installment in my Grimoire Collection videos, the first being The Book of Oberon by Daniel Harms, and Joseph H Petterson, with sigil drawn by James R Clark. The second video is of The Sixth and Seventh Books of Moses or The 6th and 7th Book of Moses edited by Joseph Petterson. My love and interests in Grimoires began with books by Anna Riva, and her now classic little Grimoire titled Secrets of Magical Seals, A Modern Grimoire of Amulets Charms Symbols and Talismans, which latter led me to Purchase the Puerto Rican author / Writter book of the version of the 6th and 7th Books of Moses which was published by Original Publications in the late 1980s or early 1990s. 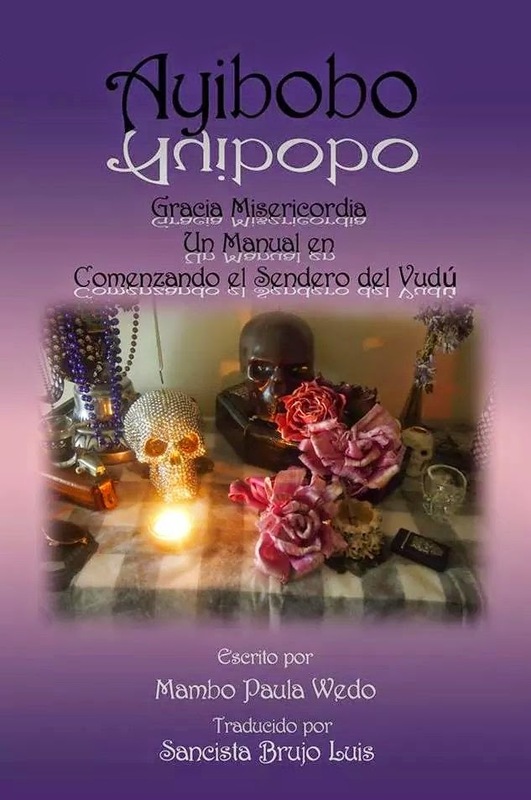 Well respected book in the Southern American Hoodoo traditions and gaining interest within the English speaking Hispanic Latino populations of the Mane lands of the United States, which incorporate these works within their Brujeria traditions. I hope you enjoy, please press like, leave a comment and subscribe. 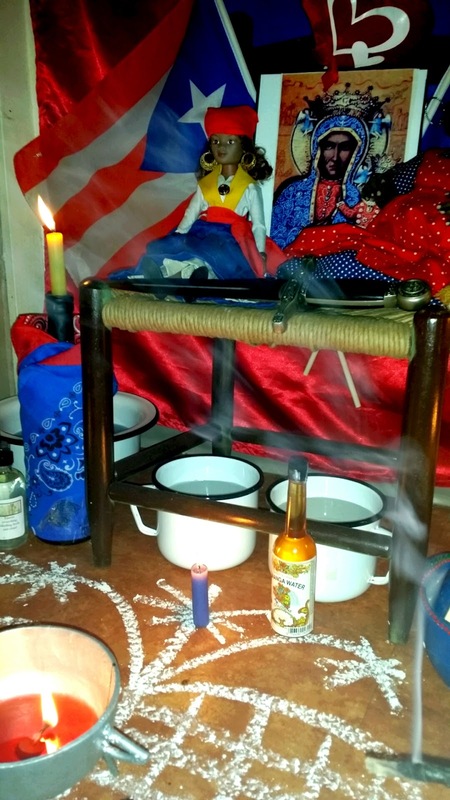 Many people ask me what reason and purpose does a Puerto Rican Sancista, Espiritista, and Papa Boco " Papa Bokor / Lwa" has collecting Grimoires and Books of Shadows. Ever since I was young I have always had a deep love and respect for Occult knowledge and Arcane magical practices and Mysteries; especially Judeo-Christian Magic. 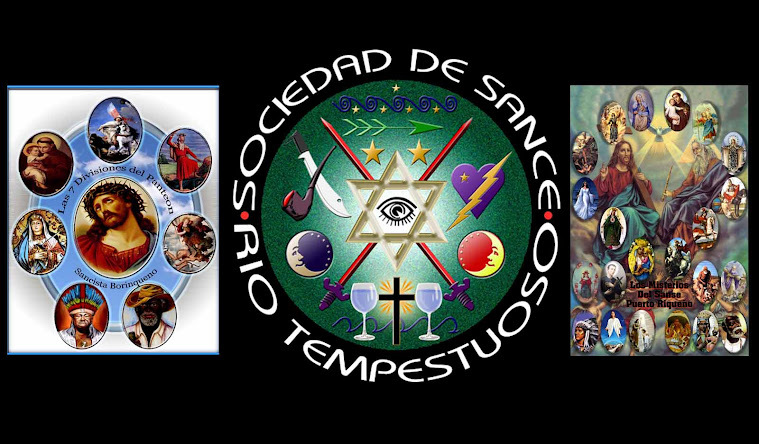 Many people think Espiritismo is similar to Southern Conjour and Hoodoo which is far from the truth, Hoodoo is more akin to Latin American Brujeria, as many sects of Brujeria have similar roots and traits to Souther American Hoodoo, such as Native American Shamanism and African Congo Bantu Magic, with a mixture of Christian mostly Catholic lore. 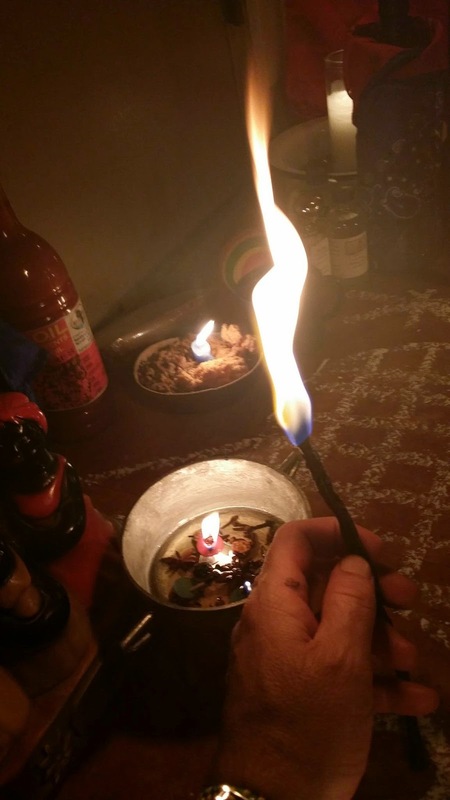 Both Brujos and Espiritistas understand that unlike modern neo-paganism and Wicca, Brujeria as well as Espiritismo are not religions but spiritual and magical paths that have their roots in Ancient pre-religious Shamanistic practices which predates all man made religions. 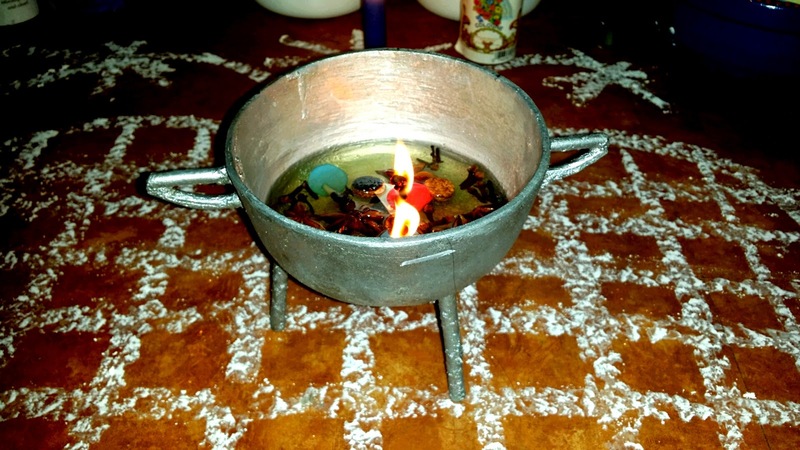 Most Espiritistas and Brujos, may they be from Puerto Rico, Spain, México, Brazilian or Venezuela "Witches" have been influenced by the religions of the land but still hold to their ancient ways, although often unknown to the Brujo. 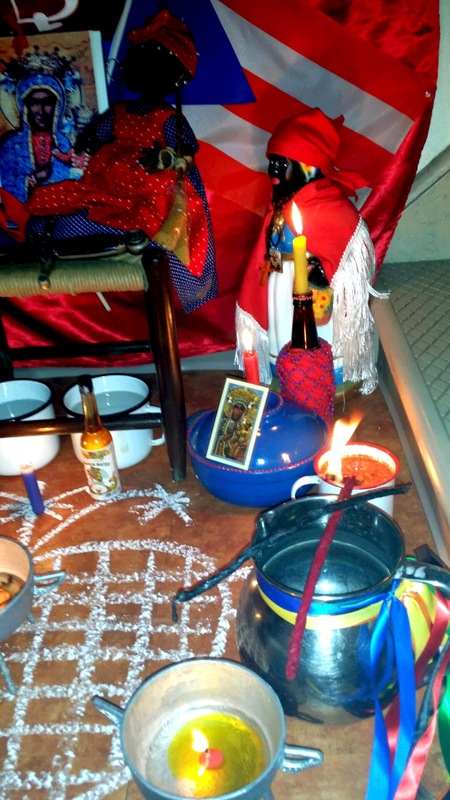 In Latin American countries, the Curandero Shaman paths and African Yoruba and Congo traditions have been influenced greatly by Roman Catholicism which has been interwoven into the beauty and arts of what is Hispanic Brujeria and Southern American Hoodoo "Gafe / Gaferia". I have been asked to do Videos on some of my collections of Grimoires and Books of Shadows that I as a Brujo collect and that have influenced my spiritual path, and will be doing book reviews sporadically on some of the books within my collection, which are heavily influenced on the Kabala, King Solomon, Moses and other Judeo Christian magical paths that can be used in your Hoodoo " Budú Gafe", Brazilian Quimbanda or Macumba and Brujeria practices. In Brujeria we try to fill in the dots and understand that the man known as Jesus Christ was both a medium and a Brujo, just as was King Solomon, and Moses. We try to find the ancient coronation within these highly elevated masters, and their similarities with ancient Spirits such as Cernunos, and Osiris-Dionysus and other elevated Pagan Spirits. We don't argue nor care if they are the same Spirits or difrent interpretation, paths or avatars of the same energy, nor if they are seperate entities altogether. Many believe that our ways are the ways of "el Diablo" the Devil, we believe in both the Mysteries of positive and negative energies in the Universe, these energies that our limited human minds, can not fully grasp nor comprehend; that cosmic duality we simply call good and evil. We often say, all is of God, and if it's of the Devil and not of God, which is the cause of all causes, than this God is not God as this God has no control in an area or mystery in the universe. 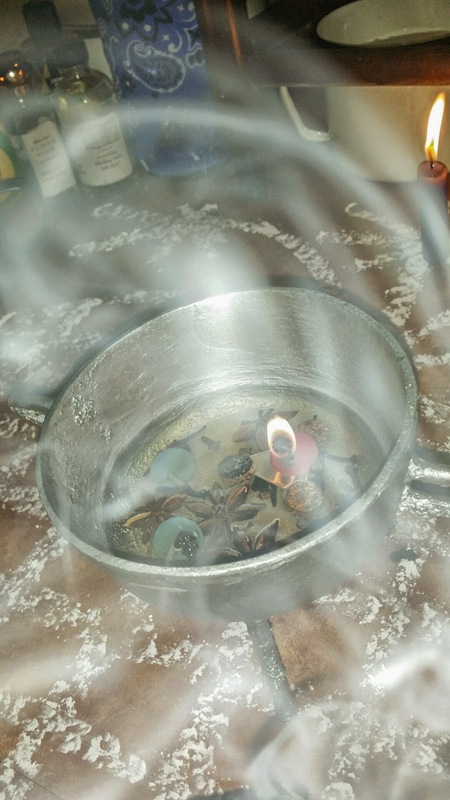 Brujos believe in the balance of both good and evil, in both positive and negative energies, which can be often a dangerous less traveled path that can lead one to Spiritual enlightment. We also believe that if not harnest correctly or respected these two paths can lead to one's destruction or to one's spiritual evolución, you can't have one energy with out the other. 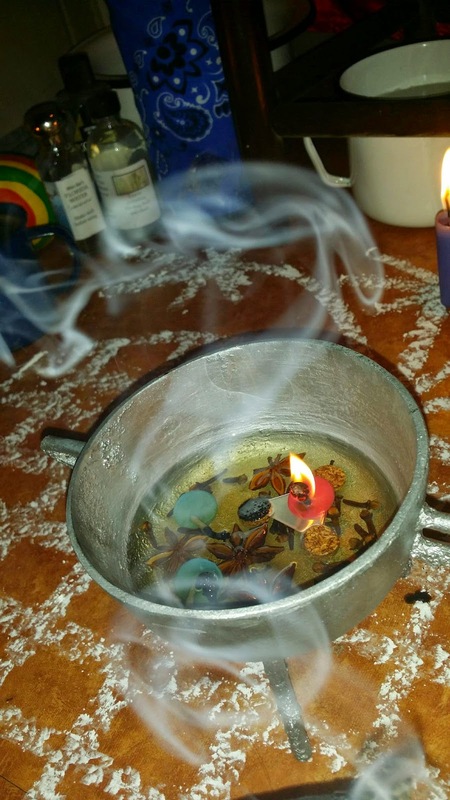 To make it clear I do not practice and am not a member of the Golden Dawn or practice Hermetic Ceremonial Magick nor am I a Necromancer or practice Necromancy, as most of these Grimoires are based on those traditions, but I incorporate them as most Brujos do into my personal Brujeria. 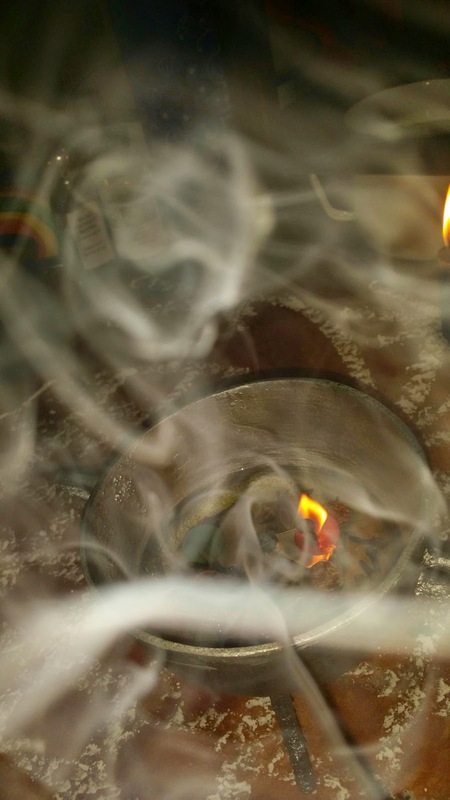 I do not invoke Lower Level Spirits or lower level demons as I only work with the Spirits of my Cuadro Espiritual, but I do use some of the Conjuros and seals in these Tomes and Grimoires in my personal daily practices. 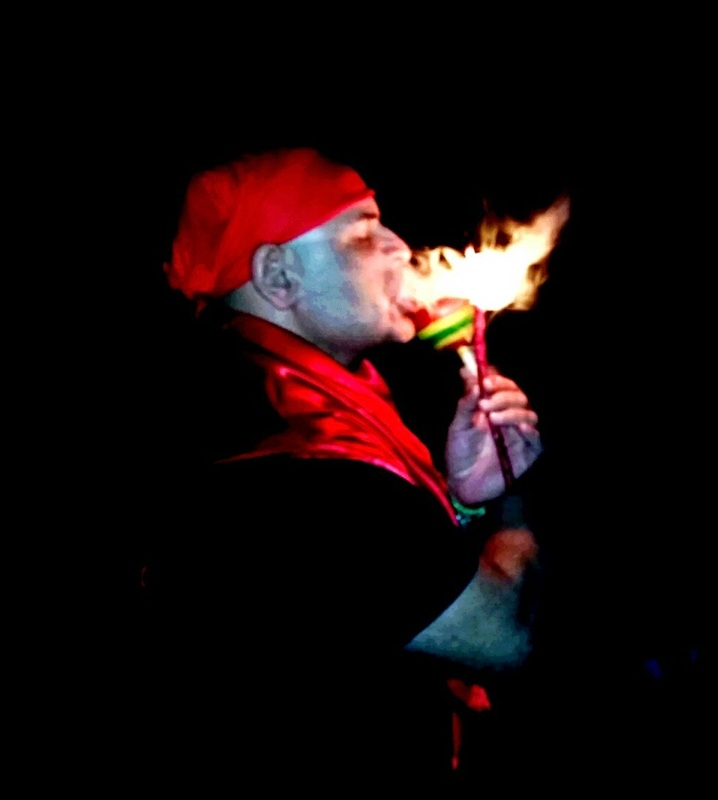 I remember one time a famous Puerto Rican Brujo from New York once say to me, Hoodoo was the latest craze, which I remember thinking and looking at him like he had three heads. 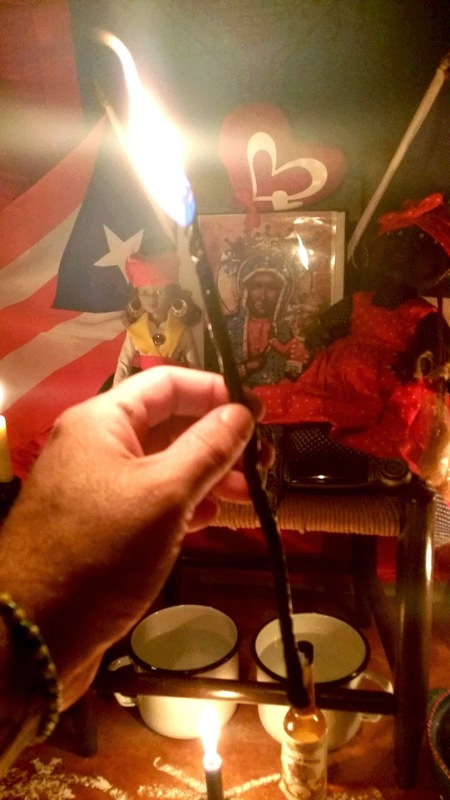 Hoodoo is Brujeria brother, and it's nothing new to a Puerto Rican or Latin American Brujo. In the future I'll do a Video Bondye Sambia willing of my own Grimoire. I will begin with newer Grimoires in my collection and go from their. If you enjoy these videos, please hit like, subscribe and leave a message down below. 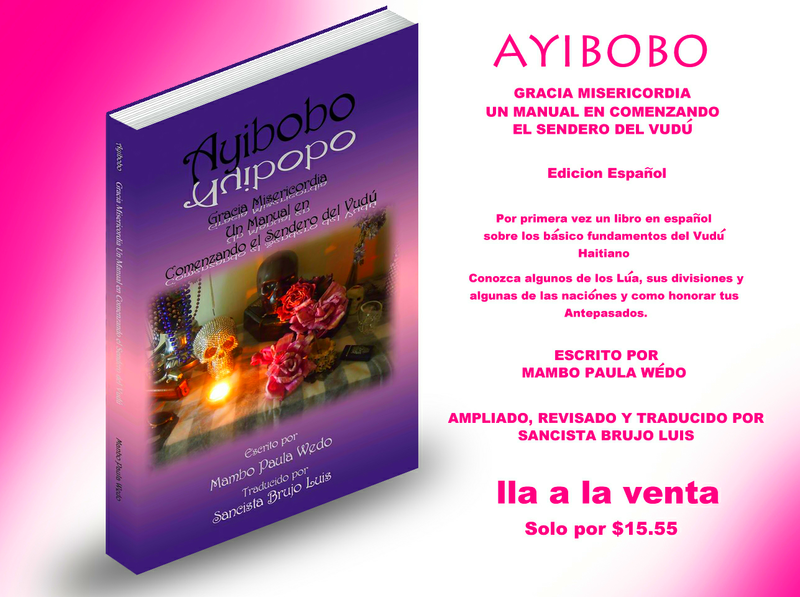 Por primera vez un libro en Español con los Básico Fundamentos de lo que es los Misterios del Vudú Haitiano. Conozca algunos de los Lúa, algunas de las varias Naciónes y como honorar tus Antepasados. Algunas de las Oraciones y Canciones utilizada en Haiti. Algunas traducidas en Español por primera vez. Este humilde folleto es como una gotita de agua en el maravilloso océano, y como esa misma gotita; este folleto es un pequeño segmento en comparación con lo que es los Misterios del Vudú Haitiano. El Vudú es enorme, maravillosa y totalmente diversa. 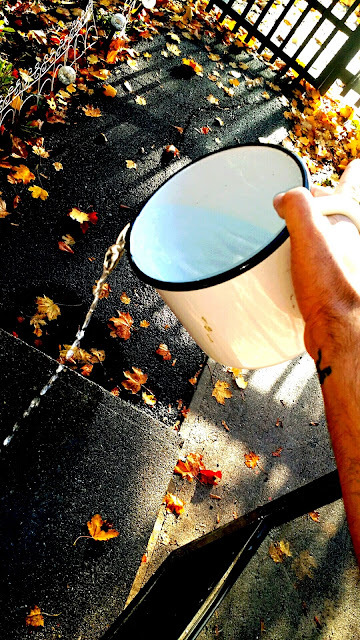 Los Loases (Misterios) son seres gloriosos, y su capacidad de amarnos y cuidarnos, es igualmente de enorme. Los Misterios caminan con nosotros; y a través de nuestras relaciones llenas de fe y servicio, ellos nos brinden con su aché, (poder) y protección. Es este profundo deseo humana que nos lleva a conocer a los Misterio; que nos lleva a las encrucijada, y ante la presencia de Papa Legba, y es ahí donde el nos abre las puertas del mundo de los Misterios para nosotros poder pasar. Una vez adentro, nos encontramos a nosotros mismos humildemente al pie del Gran Espejo Cósmico. Es en este lugar donde todo es posible, y es aquí donde cantamos y bailamos, y tenemos ese momento sagrado para conversar con los Ángeles. THE BEST LOVE SPELLS WHO USES MY IMAGES AND ARTICLES. In Puerto Rican Sanse Tinajas or Calderos are given to those crowned, they act in a similar fashion as would a Urn, not so much where the Lwa reside but the Emisario that works under the Punto of that Misterio, these Emisarios or Muertos are what is known as Los Sanse, which derives from the Haitian Kreyol word for Ancestors. Zanset. She enjoys seasoned pork meat, fried spicey black hen, rice with black beans, or rice with Congo peas. She also enjoys dark spiced rum, wine cigars, and occasionally cigarettes. Her perfume per excellence is Reve D'or which can be obtained at any Haitian Botanica. She also enjoys Kananga Water and Agua Florida, dark black coffee, Mondongo with Tripe, and hot sauce. 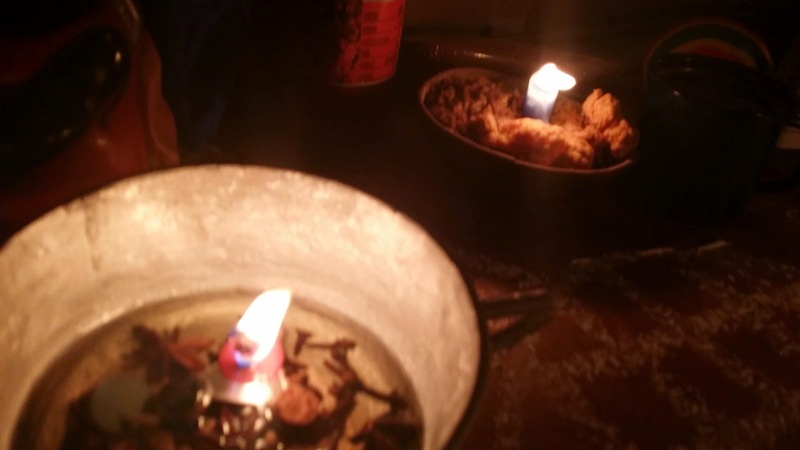 Como ofrendas Sili Danto le encanta la carne de cerdo, gallina negra, congri, arroz con habichuelas negras, y arroz con gandules. Ella le encanta tomar ron morado, vino, le encanta fumar su Tabaco y aveces sus cigarillos. Su perfume preferido es uno Frances llamado Reve D'or, que se le puede comprar en una Botanica Haitiana. Pero tambien le gusta perfumarse con Agua Kananga o Agua Florida. Le encanta el café sin leche y Mondongo con trippa y mucha salsa picante. 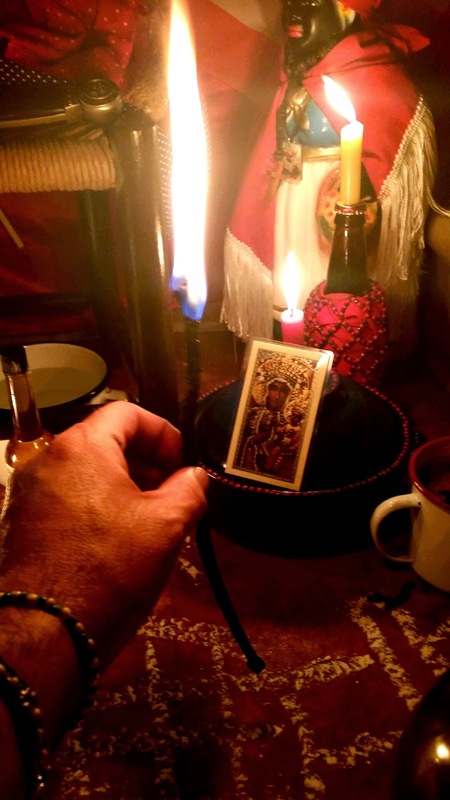 In all trabajos and Servicios to the Misterio Lwa, no matter the Division, Papa Legba or the Leba that is the Jefe of your Misterios must be payed and prayed to first. The Lebanes are the door keepers, the messengers, those that open the gateways and send our messages to the Loases, Misterios, and the Sanci Muertos of our Cuadro Espiritual. Without first calling ones Legba nothing can come to pass. En todo trabajo, y servicio a los Misterio Loases, no importa la Divicion, Papa Leba o el Jefe Leban de tu Corte tiene que ser pagado primero y un poco de las ofrendas reindidas a sus pies. Los Lebanes son los mensajeros de el mundo de los Misterios, y los porteros al mundo de los Loases y los Muertos. Sin primer invocar y rendirle honor al Jefe Legba de tu Misterios, nada podra ver sus frutos. PAPA LEGBA ABRE LA PUERTA PA MI, ABRE LA PUERTA PARA MI. ABRE LA PUERTA PARA YO PODER PASAR, Y CUANDO YO REGRESE LE DOY GRATITUD A TODO LOA. ABRE LA VERJA PAPA LEGBA, ABRE LA VERJA AL LOA! 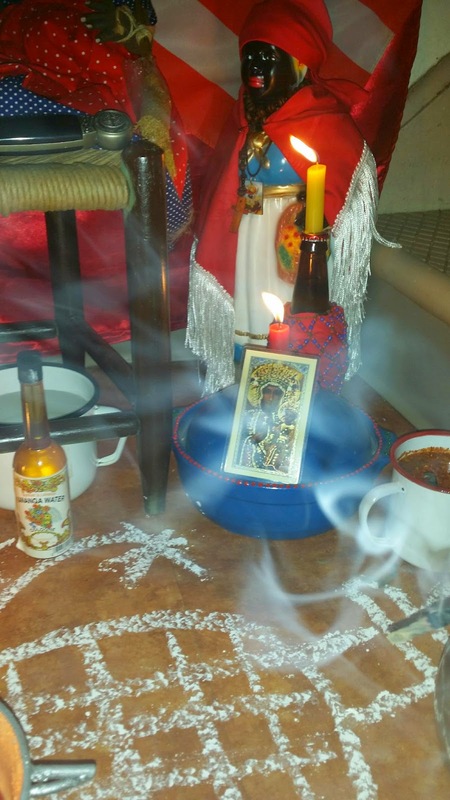 ABRE LA VERJA PAPA LEGBA, PARA YO PODER PASAR. 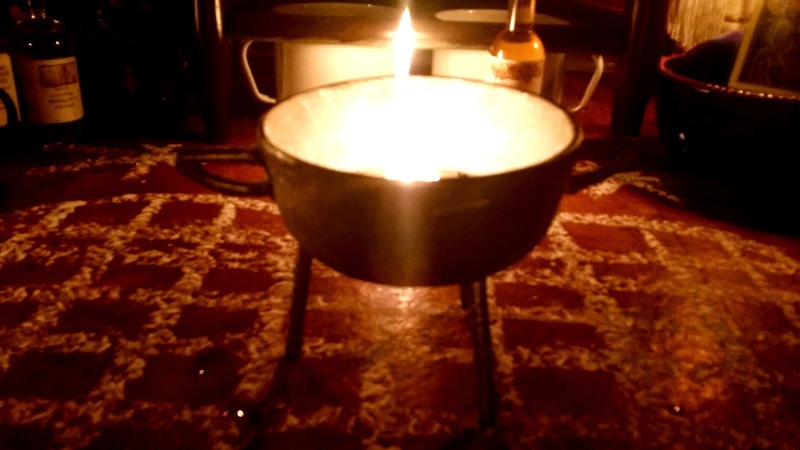 For the Petro Loa and the Ghede a special Haitian bouji candle is used and spicy liquor to get there attention. Para los Misterios de la Divicion Petro / Negra y para los Ghede una vela de sebo es utilizada con liquor picante y comidas con pique para agarar su atencion. 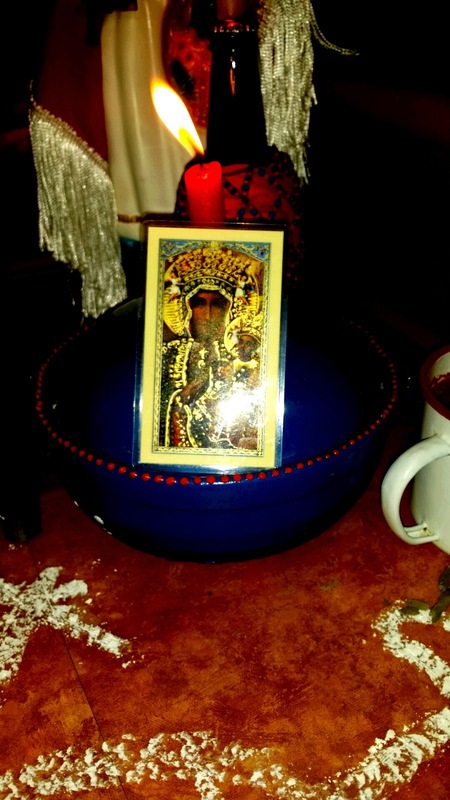 Metres Mama Mambo Erzulie Dantor is often synchronized with the catholic saint, Mater Salvatoris, the Black Madonna Our Lady of Czestochowa, and Santa Barbara Africana. 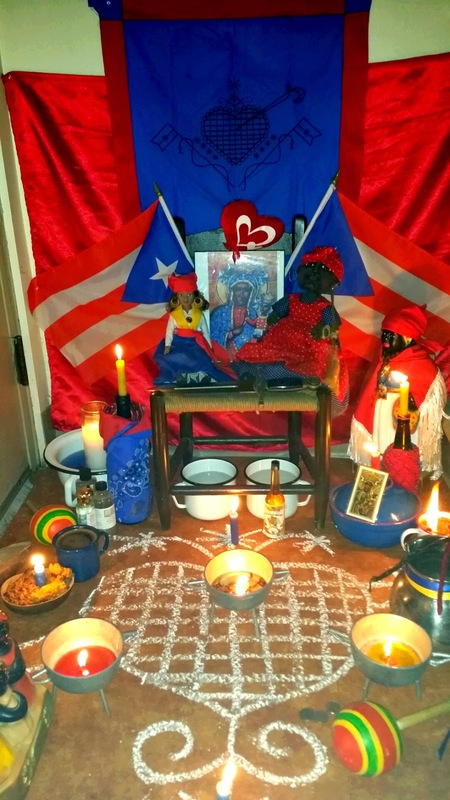 In many Puerto Rican Sanse Sociedades she is synchronized with Our Lady of Montserrat. As Our Lady of Czestochowa, she holds Anaisa Pye, but as Our Lady of Montserrat she holds some say Dan Petro, Tijan Dantor or Gran Torolisa. Metre Sili Danto Pye es sincronizada con Mater Salvatoris, la Virgen Negra de Czetochowa, y Santa Barbara Lukumi Africana. En muchas sociedades de Sanci Puertorriqueno ella es sincronizada con La Virgen Negra de Montserrat. Como Virgen de Czestochowa aguanta a Anaisa Pye, la Virgen Negra de Montserrat es vista como aguantando en su falda a los Misterios, Don Pedro, Tio Juan Pedro Danto, o Gran Toro Lissa. 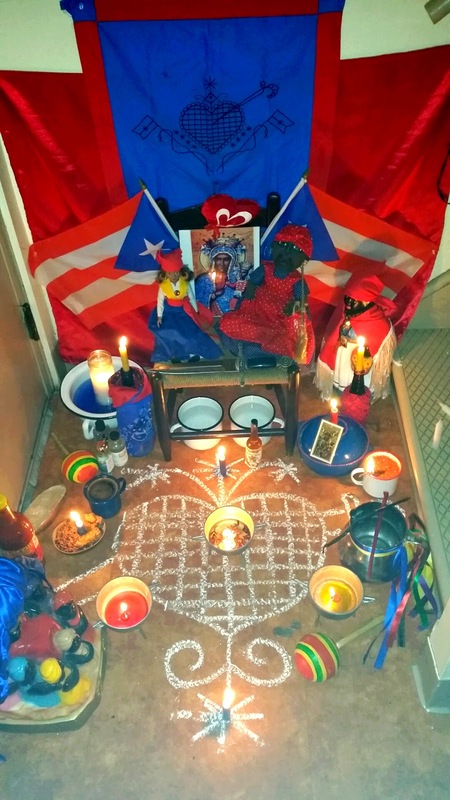 The main color for services to Petro Loa is red, there day is Tuesday, each Misterio has his or her favorite color and traditional offering, but red is always added. El color para los servicios a la Divicion Negra siempre es roja, y como Nacion de Misterio su dia es Martes, Cada Misterio tiene su color, bebida, y comida preferida, pero el rojo siempre es utilizado. Erzulie Dantor does not speak when mounted, often Anaisa Pye speaks for her or one of her Eamisario Muertos which relays messages to those who come to attend her services. Sili Danto vaja en cabeza muda, y no habla, ella utilisaa Anaisa Pye Danto o a un Emisario Muerto para mandar mensajes a los que atienden sus fiestas. Maitresse Erzulie Dantor or Mambo Zila's, colors are Red and Navy Blue, she also uses Green and Yellow, and her feast are August 15th. She is said to wear three silver sings, one for each of her husbands, although she is said to have many concubines, Ogun Badagri, Ogoun Fegallo 'Candelo', Simbi Makaya and Tijean Petro, others also say she is married to el Baron del Cementerio. Many say she is the more aggressive aspect of Erzulie Freda, while other sociedades believe her to be her own entity. Metres Sili Danto Pye o Mambo Sila como tambien es conocida tienes colores favoritos, como el Azul oscuro, el rojo, y algunos usan tambien verde y Amarillo. Su dia festive es Agosto 15, y siempre tiene 3 anillos, uno para cada uno dwe sus maridos, Ogun Badagris, Ogun Fegallo, y Simbi Makaya. Tambien tiene relaciones arorosas con el Baron del Cementero y Tio Juan Pedro. Muchos disen que ella es la vuelta mas agresiva de Meteresili, mientras que muchos disen que ella es un Misterio separada completamente. Like the Orisha Ochun and Yemaya or Yemonja, Erzulie has her origin in an African River deities, Erzulie's origins come from the Azilie River. In all branches of Vodou there are many caminos of Erzulies, and in Sanse and 21 Divicion they belong to the Metresa Division. there offerings are often brought to a river bed, and placed by a tree. Erzulie Dantor's offerings are always left under a dead tree or a tree with an entrance and near the river where the water runs wild. Como otro Orichas como Ochun 'Cachita Tumbo' , La Sirena Yemaya,, Erzulie tiene su origen en una deida Africana de los rios y agua dulces. Erzulie tiene su origen en el Rio Azilie. En cada rama del Vudu, hay muchas vueltas de Erzulie, conosidas como la Divicion Metresa. Sus servicios y ofrendas se llevan a la orilla de un rio donde el agua corre feroz, y choca contra piedras, y enterado en un arbol.